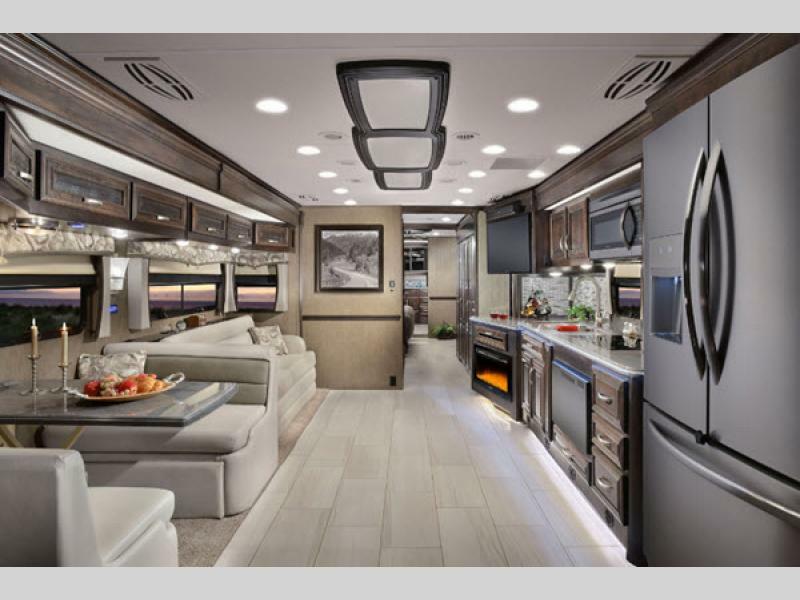 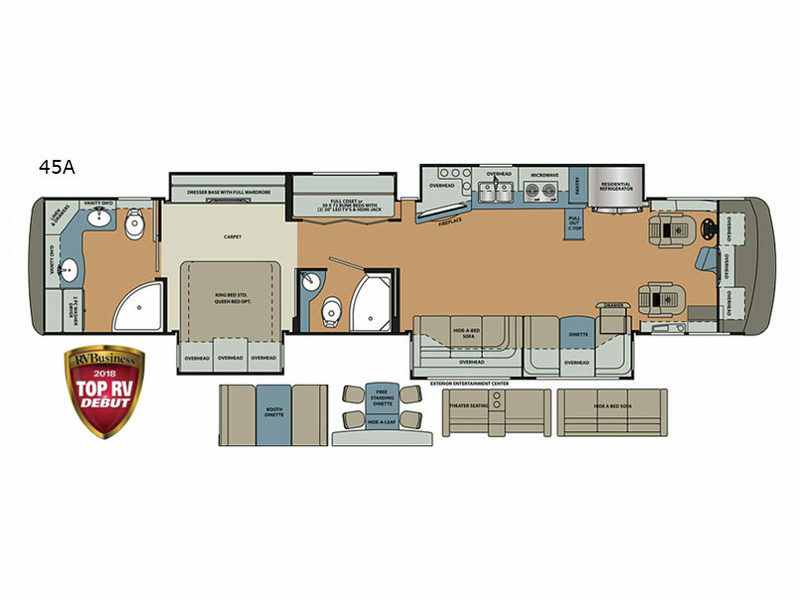 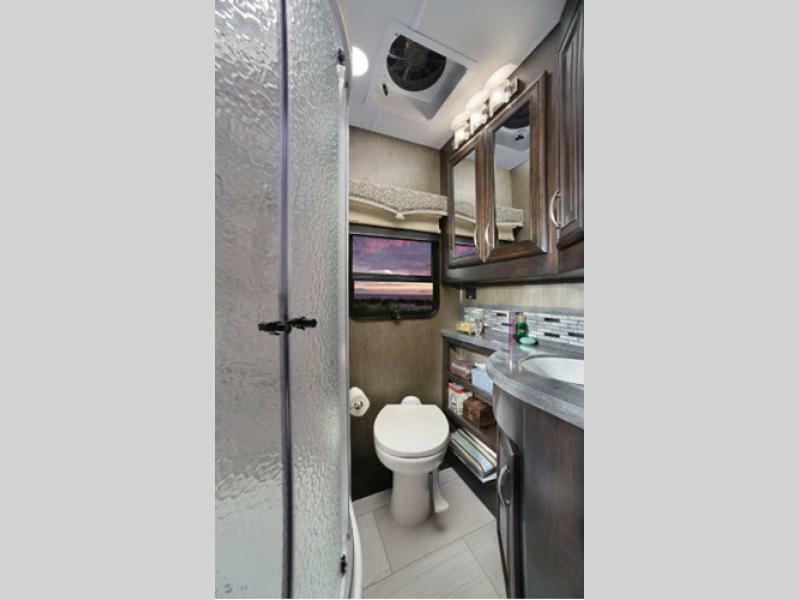 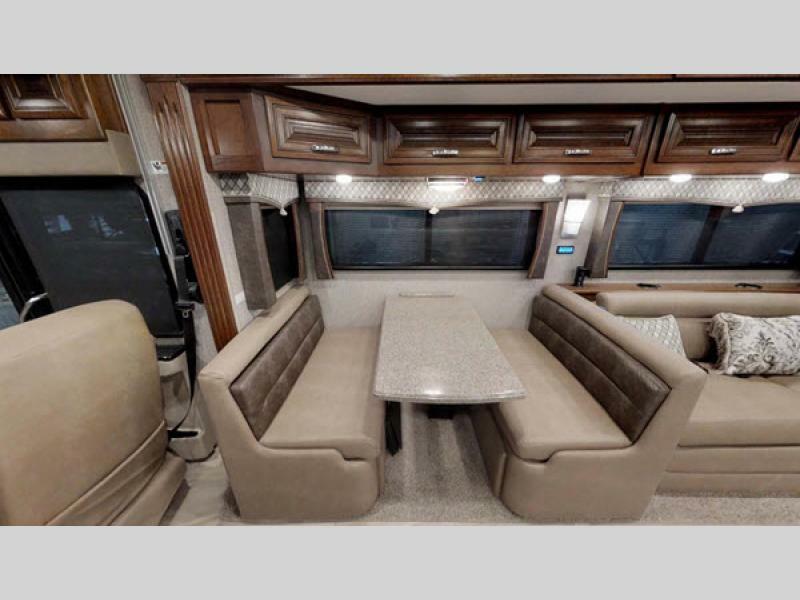 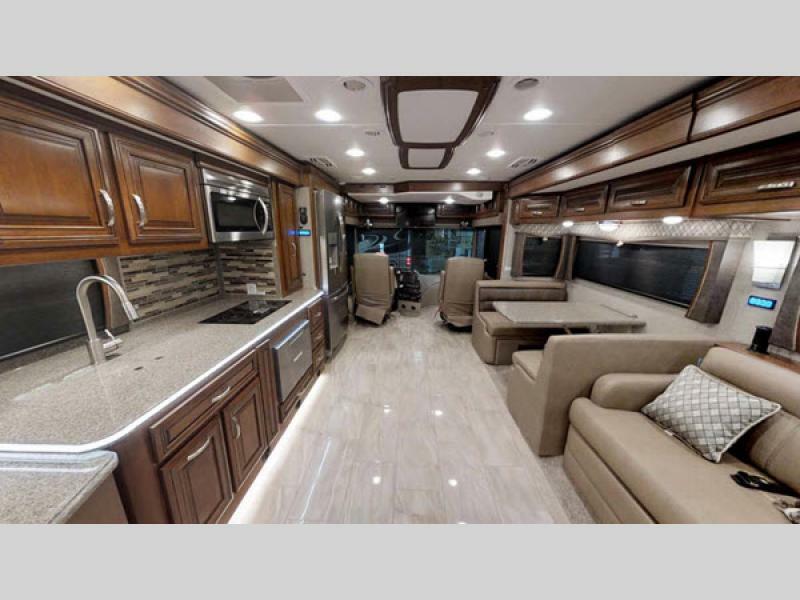 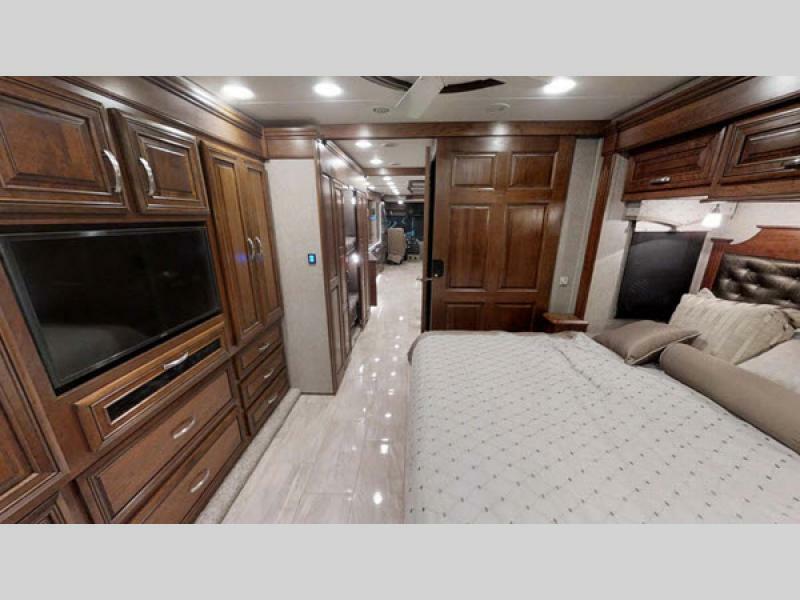 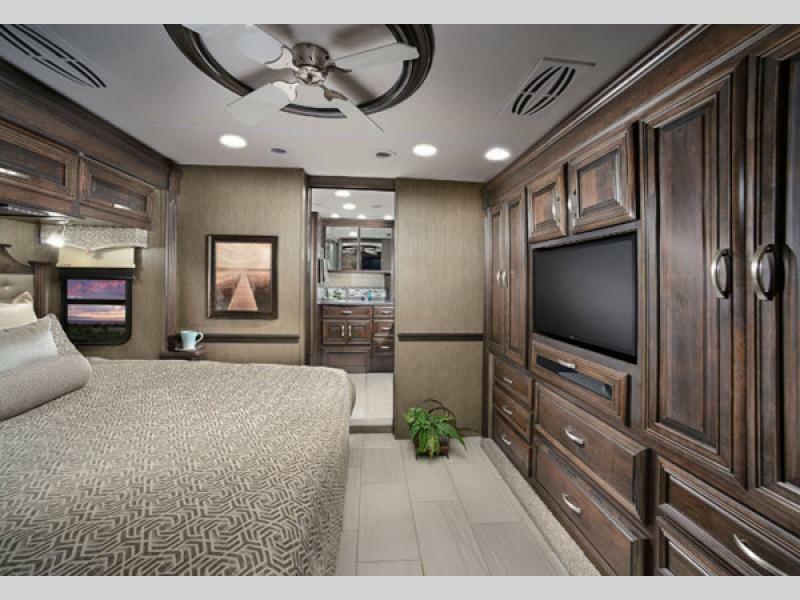 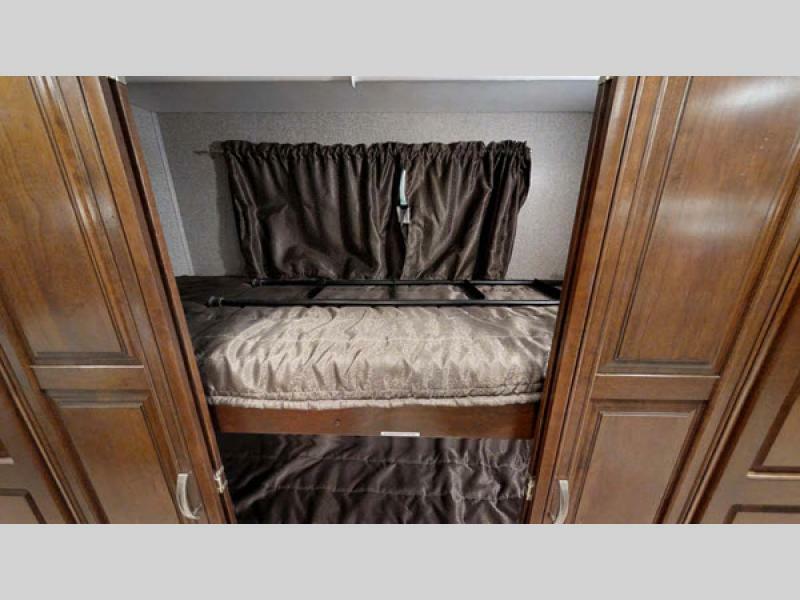 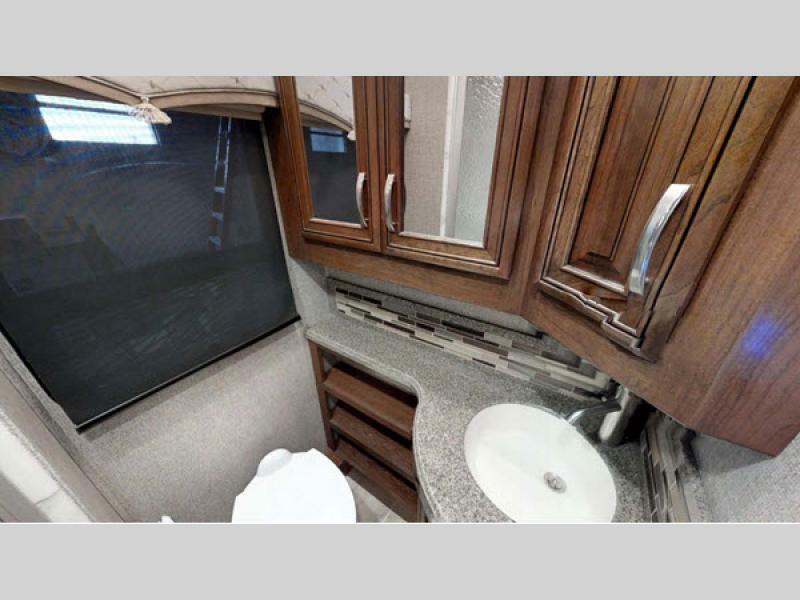 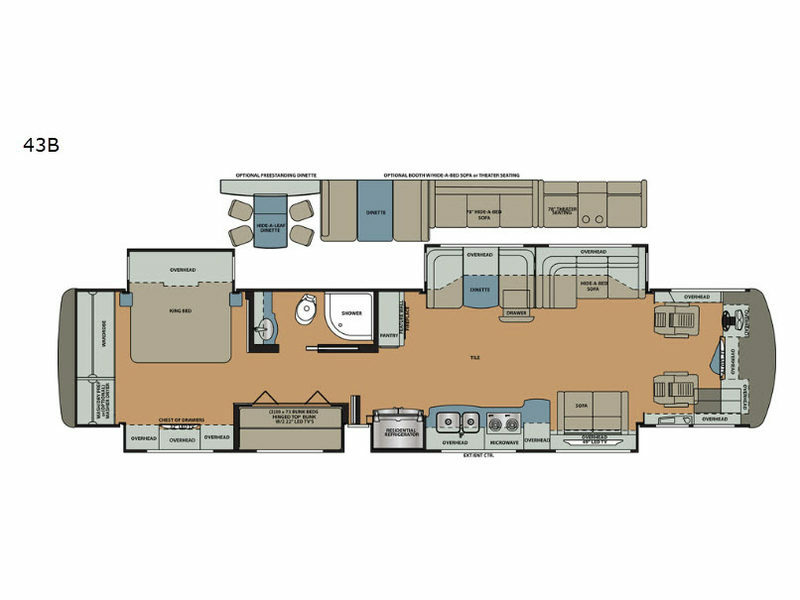 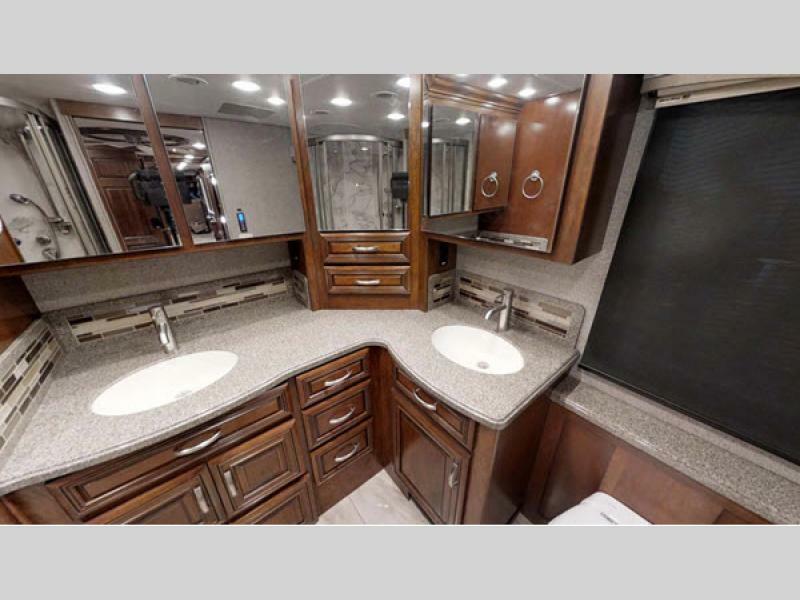 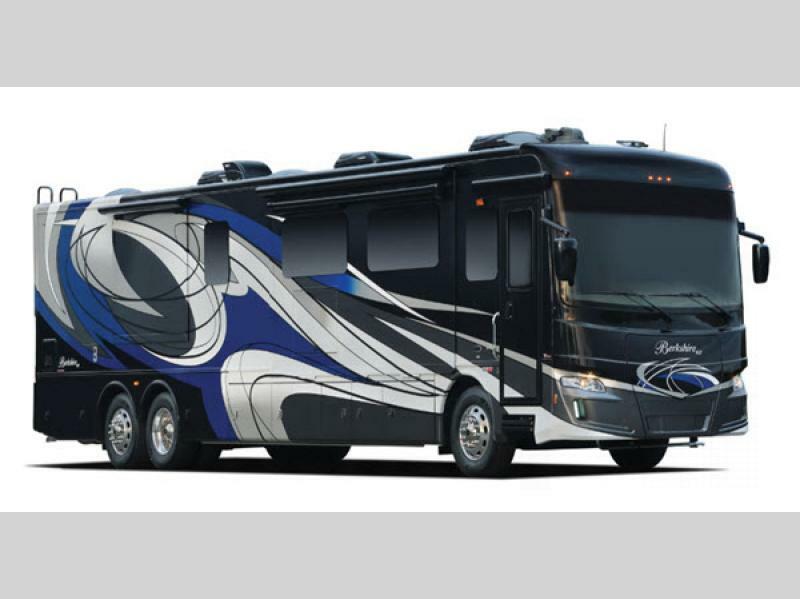 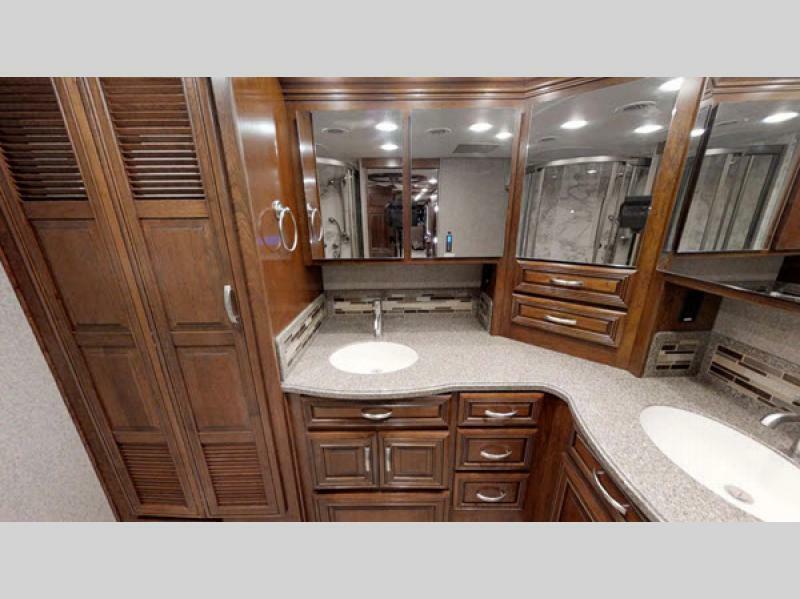 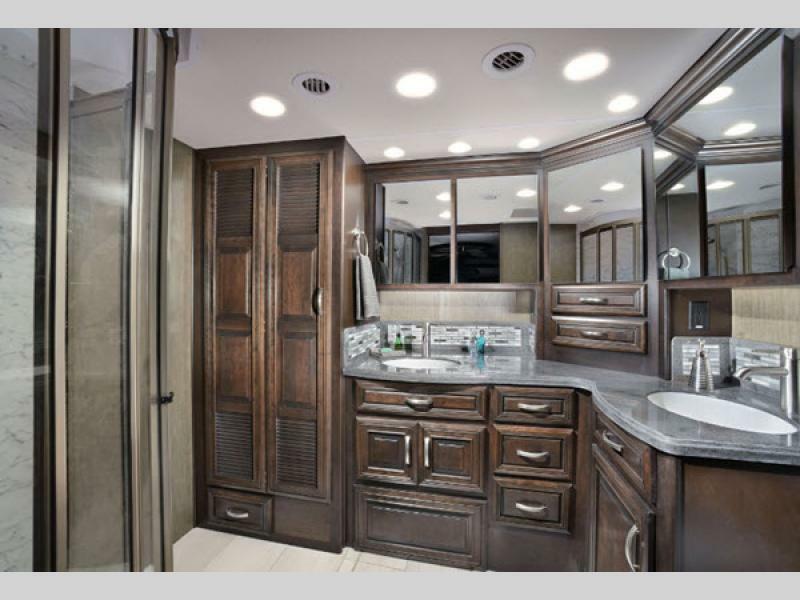 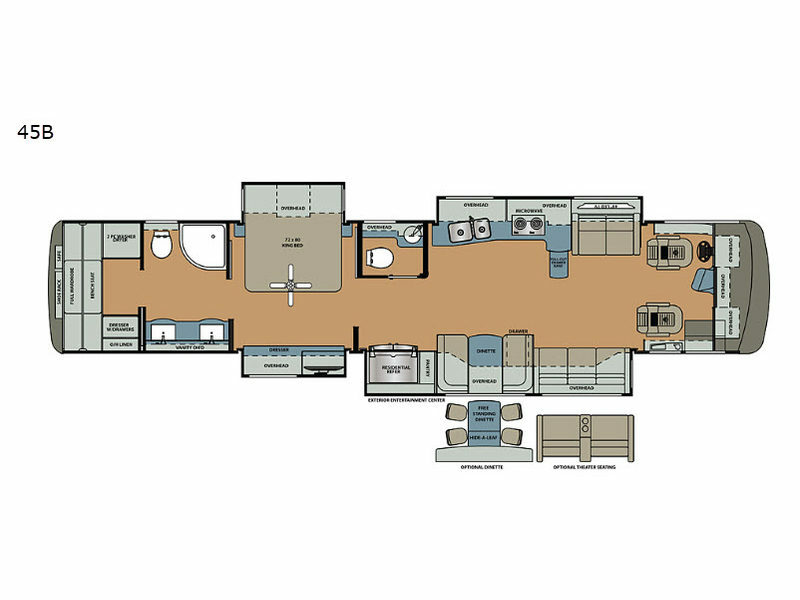 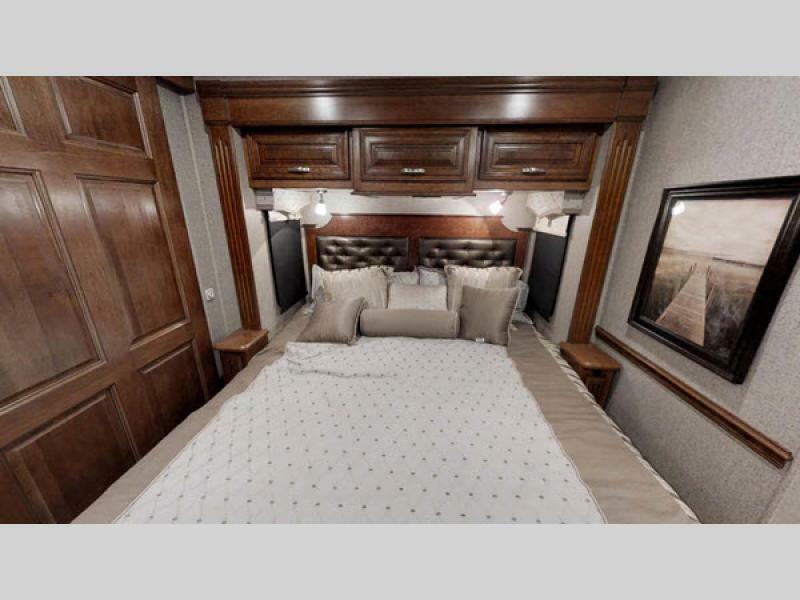 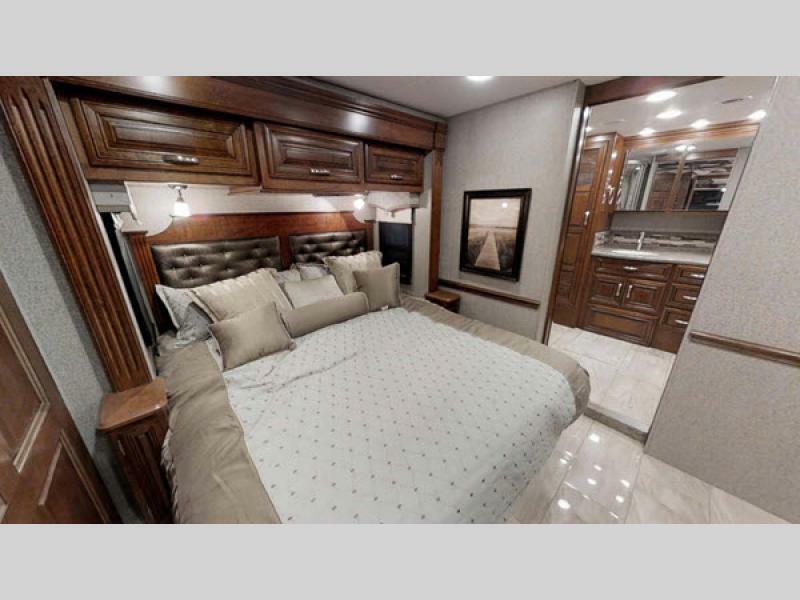 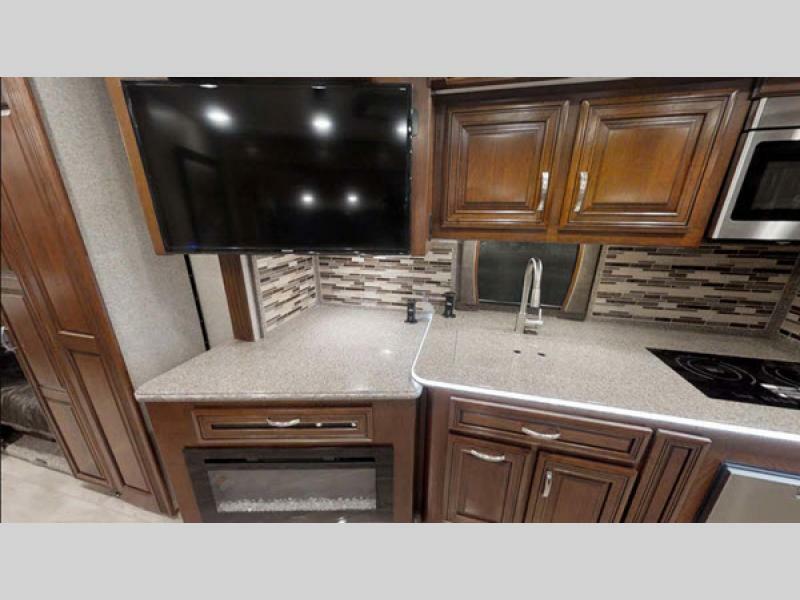 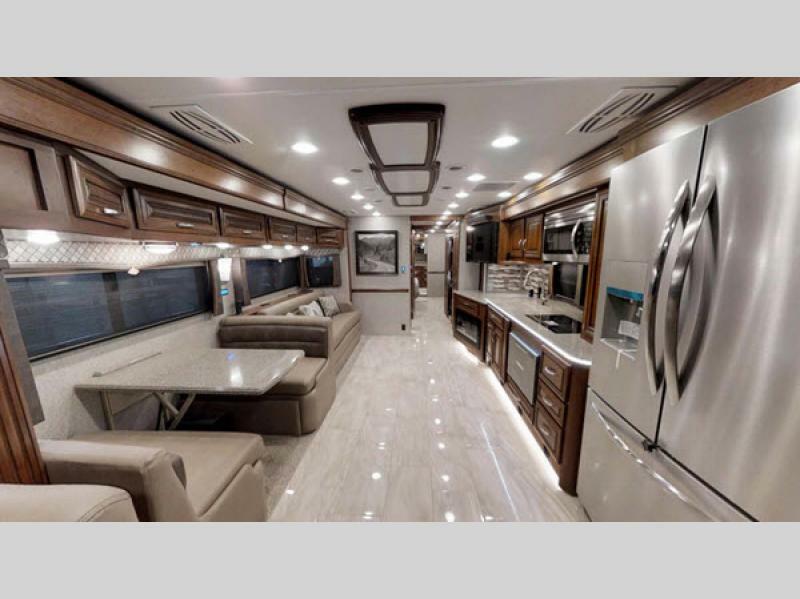 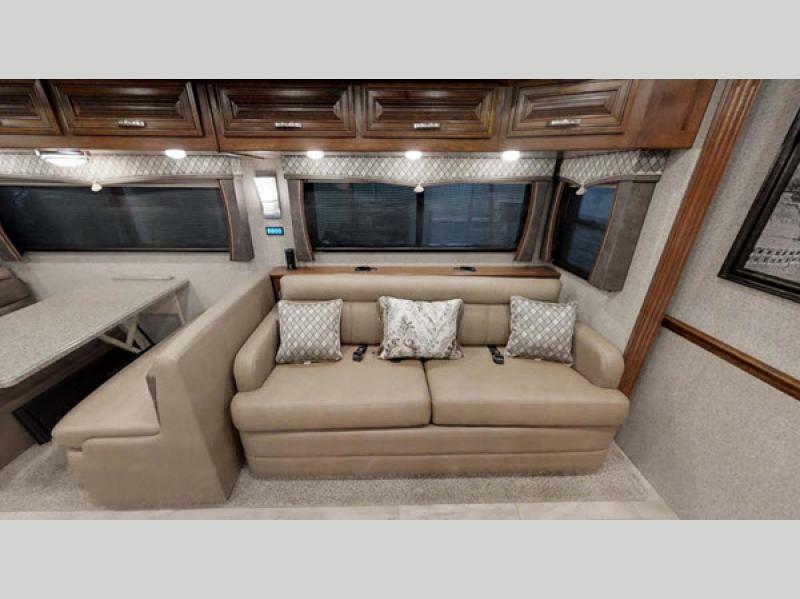 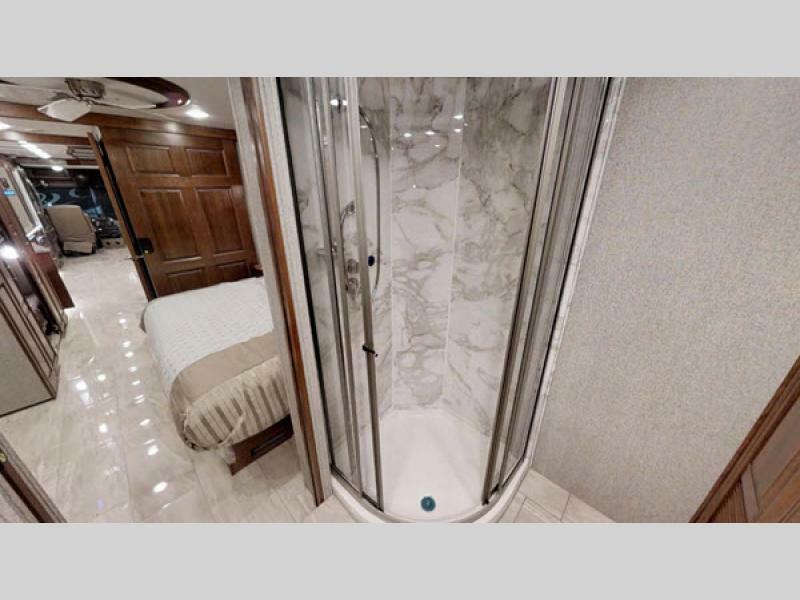 The Berkshire XLT Class A diesel motorhome provides a level of luxury and performance that will wow you from the moment you step inside to the moment you exit. 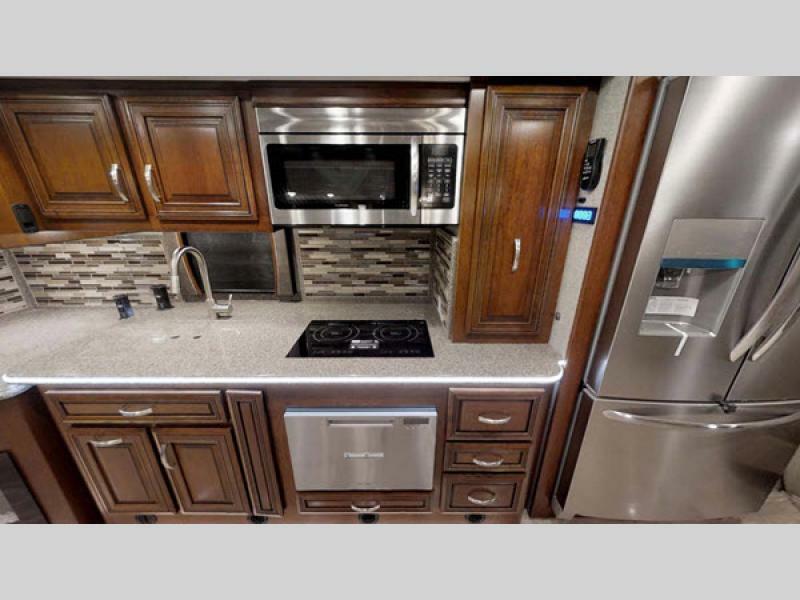 Each unit features an open floor space, beautiful hardwood cabinets, gorgeous decor choices, and plush furnishings. 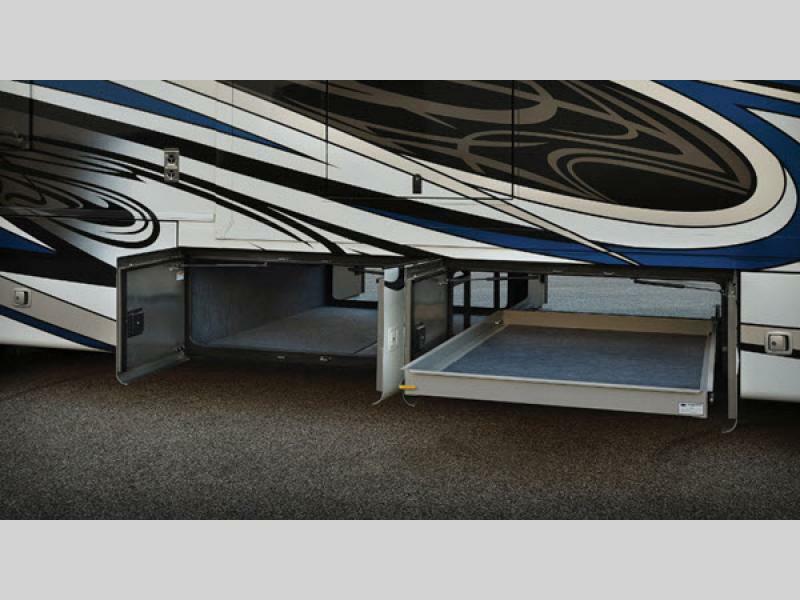 There are also three or four slides in each model, and one even has a set of bunk beds which will be perfect for the kids. 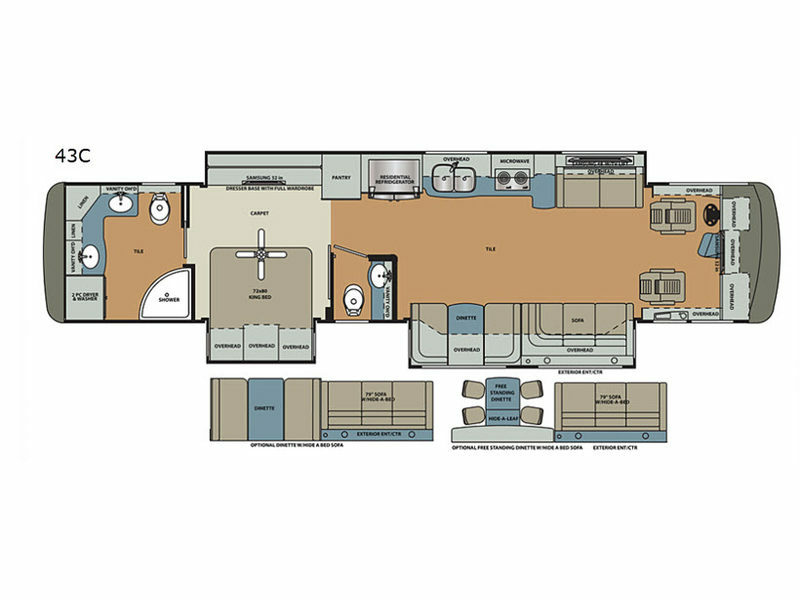 Every Berkshire XLT is built with a Freightliner XCR Raised Rail chassis, a Cummins ISL, and an Allison 3000MH 6-speed transmission. 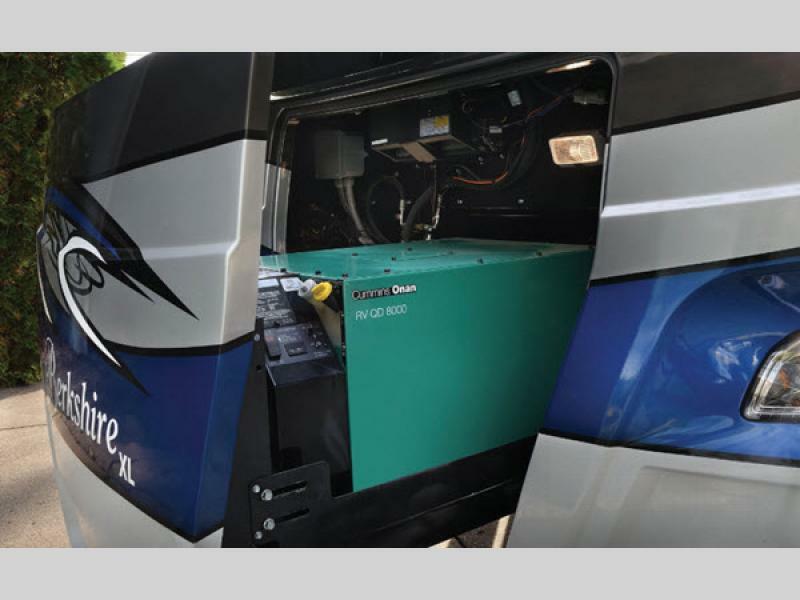 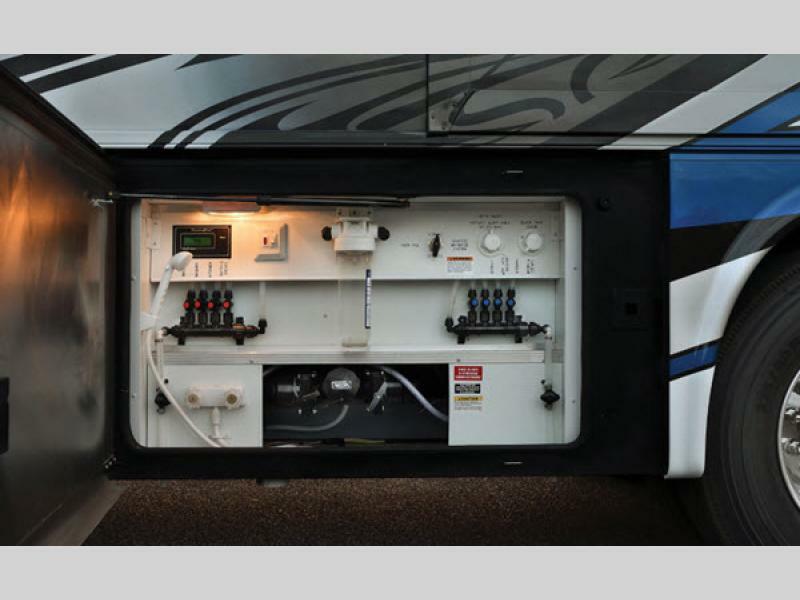 There are also plenty of helpful electrical features which will allow you to enjoy your trips even more, like the bedroom ceiling fan, the 10kW Onan diesel generator, the multi-plex control system, the dimmable lighting throughout, and the energy management system. 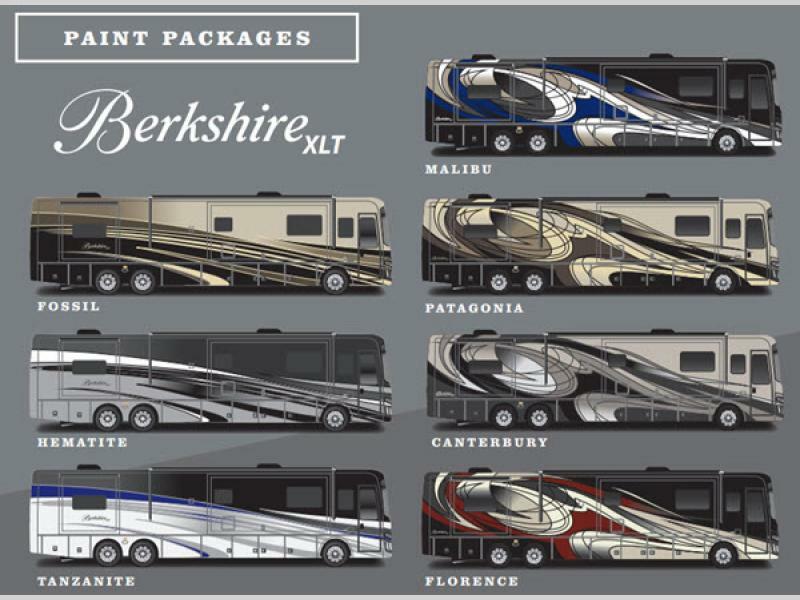 Today is the day to start out on a new adventure in a luxury Berkshire XLT Class A diesel motorhome by Forest River! 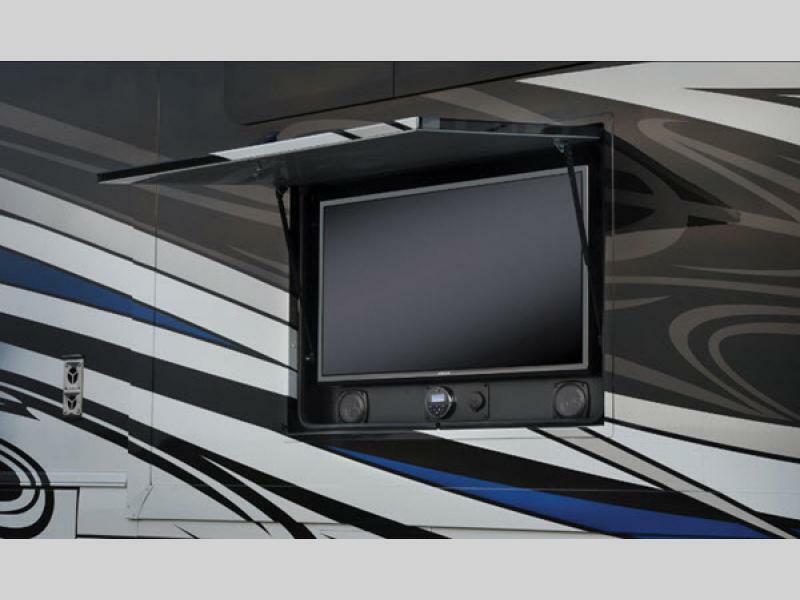 Flexsteel soft touch wide driver seat, swivel,recline seat w/6-Way pwr adj.